Discover Cook&Go, the perfect range to carry your meals everywhere. Thanks to its 4 flap lid which guarantees airtight and leakproof. Made in borosilicate glass, all the products are suitable for oven, microwave, fridge and freezer. You will easily know what is stored thanks to the transparency of the glass and a specific space on the lid to write the content. Taking your meal with you has never been so easy ! 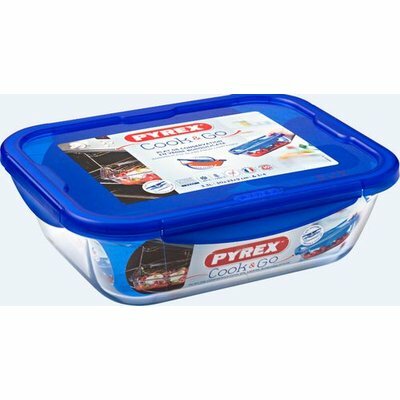 Airtight and leakproof plastic lid for easy storage and transportation. Suitable for fridge, freezer, microwave and dishwasher. Dedicated space on the lid to write the content with a pencil.